Soni erected the stone and made the bridge in memory of Sigbjôrn and Þegn. Soni carved. 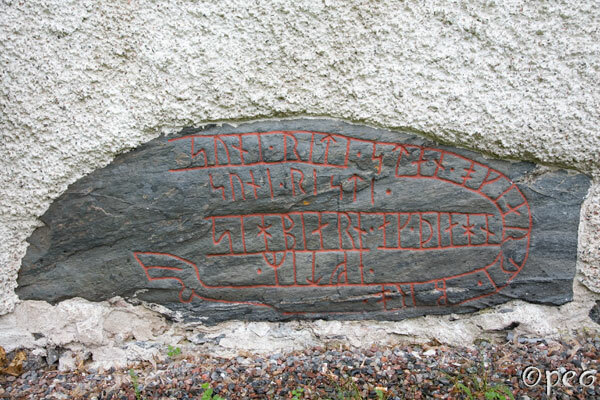 You'll find this rune stone in the wall of Lunda church.